We take auto repairs seriously! Expert Technicians | Brake Repairs | Oil Changes | Battery Service | Wheel Alignments | Auto Repair | Tune Ups | 6 Locations to Serve You! Auto Repair, Tires and More. British Auto Specialists have been servicing Calgary’s British auto lovers for almost 20 years. We bring the precision of factory to the Canadian doorstep. Please call Mastertune today or visir our website for more information! Here at Cars Inc/Crowfoot Brake and Muffler, We are committed to earning your trust by giving you the best possible value in vehicle repair and maintenance! Call us today! Monza Auto Specializes in German & Asian Imports * Complete Diagnostic Car Repair * Offering Dealer Maintenance * Call us Today! Auto repair, tire dealer, oil lube & ilter, wheel alignments... We are your one stop auto repair shop. Call or stop in today! We have been in the automobile repair business fron last 15 years. We pround ourselves as a quality service provider for Imported ( European & Asian ) as well as Domestic cars. 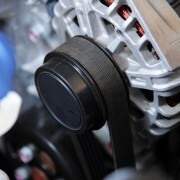 Our technicians are certified BMW and Mini repair specialisits. We aim to provide the highest customer service with a proffessional approach worthy of the BMW/Mini brand. Ryanco Automotive started out 20 years ago. 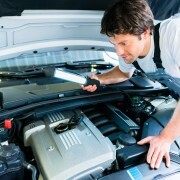 We have a full staff of fully trained licensed mechanics. We're a one-stop, full service facility dealing with all aspects of automotive service & repairs. We strive to beat the competition in all areas of business. To be a different kind of auto shop. If you don't need it, we won't sell it to you. Come in and we will prove it. No obligations. 13+ year We are family owned and operated We take great pride in our work and we know how important it is that our customers leave us feeling secure and satisfied with the work that we've done. 41st Auto Ltd. in Calgary provides automotive maintenance and repair services specializing in Japanese and Korean vehicles.We work on all makes and models, providing high quality services in Calgary. For over 25 years, trust the licensed technicians at High Country Auto & Propane to .provide the best maintenance and quality customer service. Friendly, Honest Auto Garage with quality workmanship, serving Calgary since 2013! Stop in today and see why Calgarians' are choosing BB Auto Service Inc! Tony's Auto Service specializes in Volkswagen and Audi vehicle repair but we do service all other makes and models. Callus today to book your car in. Welcome to Our Mechanic Inc, proudly providing expert auto and light truck repair, and maintenance services to customers of the Calgary area. Call us today!